We take our reputation for being the best in the industry very seriously, and once again, we are proving it in the excellent quality and craftsmanship of our brand new Jujitsu color belts. Made with 100% cotton both inside and out, it is extremely durable, yet pliable and comfortable enough to provide you with a strong hold and support that you need when tumbling on the mat or in fights. Render your belt truly unique by customizing it with our beautiful hand-embroidery! 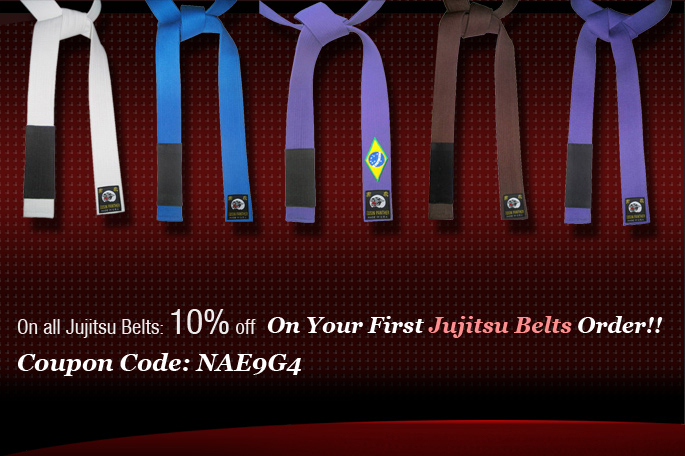 You will never have seen a jujitsu color belt of this quality and class! !